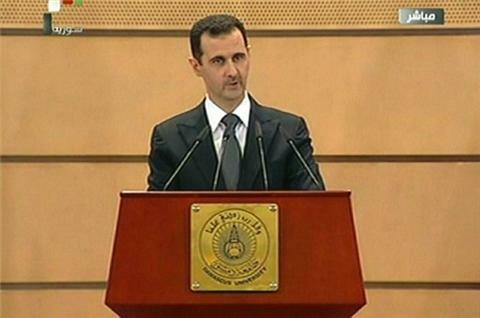 Promise to expand amnesty coupled with tough words for "vandals and outlaws" in Syrian president's address. The Syrian president, facing three months of protests against his rule, has said a national dialogue will start soon but cautioned that no political solution was possible with people who were violent or carried arms. In a speech at Damascus University on Monday, Bashar al-Assad said he would ask the justice ministry to study expanding a recent amnesty, but said it was important to differentiate between "saboteurs" and people with legitimate demands.